In normal business 'one way' client feedback can be a useful tool for monitoring the client experience. 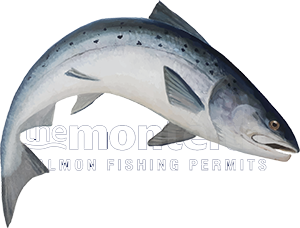 A feedback form in salmon fishing should in my opinion be 'two way' to also take into account the professional ghillie's views on the fishing preparedness, skills and etiquette of the visiting salmon angler. This 'two way' feedback would go a long way to improving the effective water coverage of all Scottish salmon rivers and indirectly enhance the client experience for all fishing guests. In Scottish salmon fishing sometimes a politely delivered 'no' is the safe option for a salmon fishing guest to keep them away from a difficult or dangerous salmon pool. The safety of the guest has to obviously be the number one priority at all times. The Head Ghillie's ability to decide who fishes where on a beat based on client safety grounds should not be used as a tool against the beat ghillie on the guest's feedback form as is sometimes done with this 'one sided' client experience monitoring system. I recall a few incidents when I was operating as a Head Ghillie on the River Tay. On one such occasion a guest completely 'badgered' me to take him down to an Island Pool even though I told him several times that the river was several inches too high and it would be too dangerous to wade onto. He would not listen and started to make a scene in front of other fishing guests during lunchtime. I eventually gave in to try to keep the peace and then watched him fall over and get soaked due to the water pressure he was forewarned about. On another occasion I recall an unhappy single rod guest bleating on at lunchtime as to how bad the beat was in front of other guests even though salmon had been caught by the other guests that morning. The rest of the fishers were having a great time but I could see their disappointment at having to share a fishing hut with someone who was being so negative. I had a word with him outside and advised him to stay quiet and offered him the pool of his choice for the afternoon session which the other guests had agreed to. More salmon were caught in the afternoon but not by this chap and had he stuck with the carefully thought out pool rotation he would have found himself on the scoresheet as all the afternoon fish were caught where he chose not to fish. Needless to say I got the blame for this and he 'sunk the boot' on the feedback form. I called him thereafter to advise him that would be last time he would fish the beat as he was clearly out to cause a scene and diminish other salmon fishing guest's enjoyment of their day. You truly meet all types on a riverbank and 95% of salmon fishers who visit the salmon rivers of Scotland are indeed top blokes as are 95% of the professional salmon guides who staff our wonderful salmon fishing rivers. An agent who wishes to only consult the client in an environment that is totally different from a restaurant or hotel accommodation experience is not in my professional opinion fully tuned in to the complexity of fishing guest management that professional beat ghillies undertake each day. Making these feedback forms a '2 way' conversation so the ghillie can have his say too in order to counteract any unfair criticism while subtly educating the fishing guest at the same time would be far fairer and more beneficial to both parties. Letting the occasional unfair behaviour of a salmon fishing guest upset the beat ghillie is no way to develop or heal the relationship for obvious reasons. Agents and fishing guests need to have respect for the firstly 'safety orientated' decisions taken by beat ghillies as these decisions are best qualified by the beat ghillie on each fishing day and no one else. It is vitally important to allow a salmon beat Head Ghillie unimpeded free reign to professionally call the shots on his salmon beat without being subjected to a completely disrespectful 'one way' feedback form that only a completely detached salmon fishing agent could have conjured up that takes zero consideration of the often unpopular client safety decisions nor the complexity of hosting all the various different characters & personalities that turn up to fish on the Scottish salmon rivers. An ever changing salmon river and the lurking dangers that go hand in hand with it should never and can never be compared to the foyer of a luxury hotel via some 'one way traffic' feedback form.